Rich and delicious. 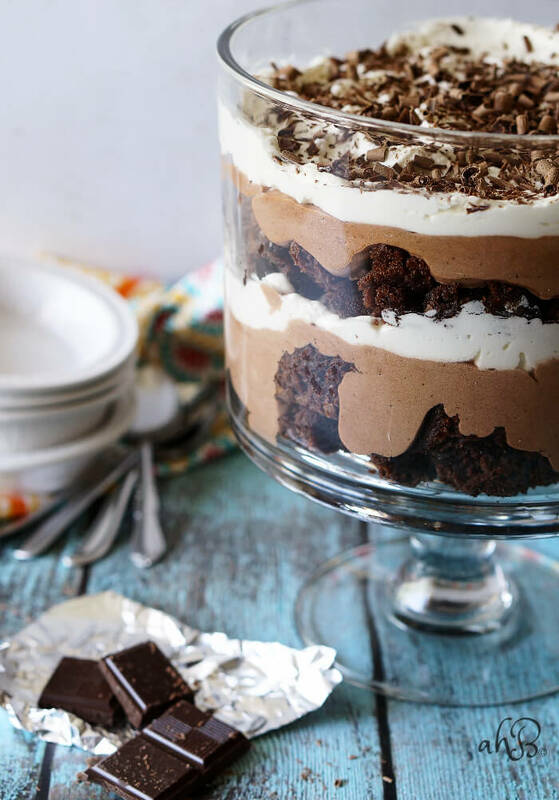 This Chocolate Brownie Trifle is layered brownie, chocolate mousse, and whipped cream perfection. I usually try and have some kind of cohesive story that goes with my blog posts, a snippet of personal history to accompany my recipe, a silly story to recount, sometimes even something just a little bit meaningful. Well, not today, this week I’ve got a mishmash of random stuff to tell you guys. 1.) I read Amy Poehler’s biography last week and was shocked by the amount of drug use referenced. But it was a great book; funny, witty, profound, deep, ridiculous, heartwarming, and also peppered with lots of f-bombs. 2.) After 17 years of living in my own house I finally have some living room furniture that I picked out myself, that was not hand me down, and didn’t come from a thrift store. This is super duper exciting to me. I almost feel like a grown up. 3.) 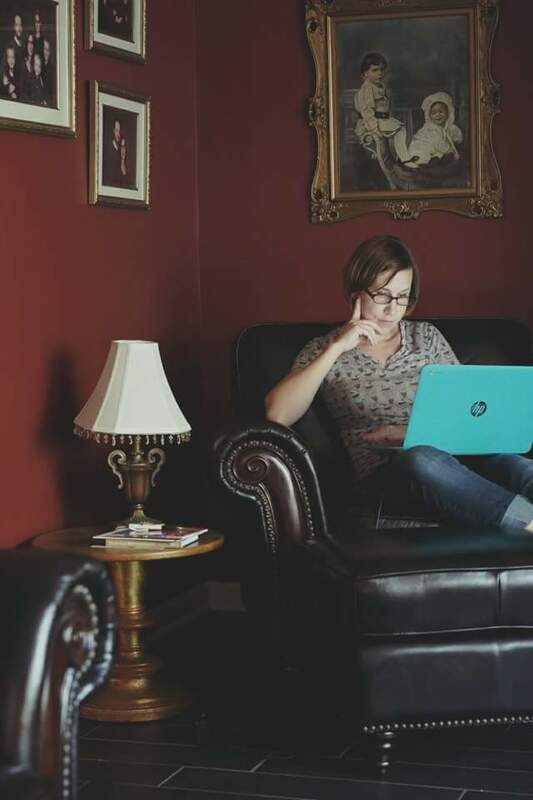 I was going to take a picture to show you guys what my kids have dubbed my new “blogging chair,” and I actually managed to take a not too terrible selfie in the process. My people picture skills are progressing. 4.) My mother in law randomly gave me a brand new trifle bowl and stand the other day. 4.) Yes, I realize this is the second number 4. I just typed up through 4 and my computer randomly shut off, so I just had to type this all over again and thought you should know. 5.) Sonic has peach lemonade this summer! Y’all know that I absolutely adore peach drinks. It’s an internal battle everyday to keep myself from going to Sonic now. Especially since I have to drive past one two times a day. 6.) My youngest son is cracking me up as I write this up. He’s in the other room yelling, “No, B-dog no! Don’t say it!” as he watches Spooky Buddies in the other room. He’s way emotionally involved in the lives of those golden retrievers. 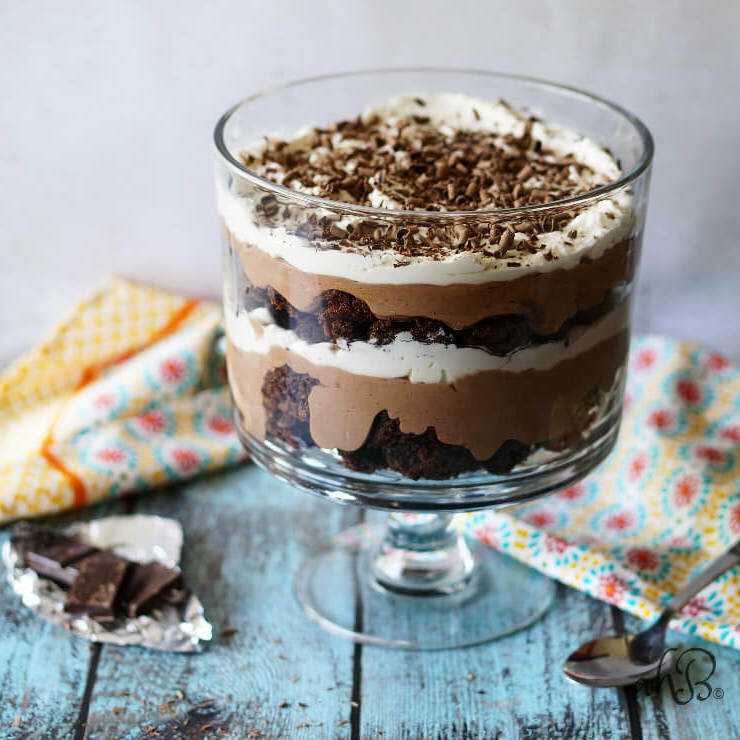 This chocolate brownie trifle is amazing, but it’s not an original recipe. I guarantee you that any mid-western country church that’s put together a congregational cookbook in the last 30 years has some variation of this recipe. 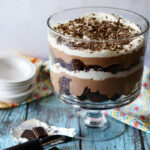 Chocolate brownie trifle is one of those things that people know they love before they’ve even taken one bite because they’ve got an aunt or grandma or neighbor that makes a trifle almost exactly like this. This trifle is classic in the best way possible. 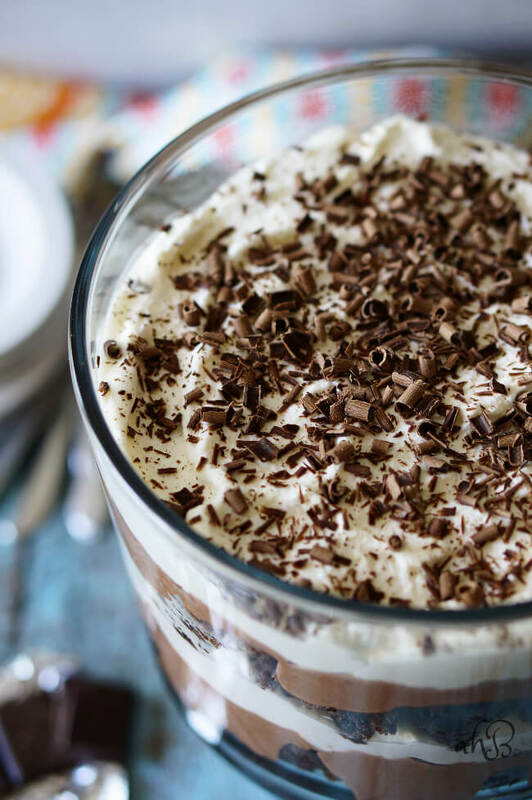 Fudgy brownie bites layered with a mousse-like chocolate pudding layer and topped with whipped cream. Rich, sinful, delicious. It’s also very easy to make, which ensures this trifle will never go out of style. You start with a 13 x 9 pan of your favorite brownies (homemade, from a mix, whatever you feel like.) Then whip a pint of whipping cream flavored with vanilla and sugar. For the mousse layers, coffee is combined with chocolate pudding mix, sweetened condensed milk, and part of the whipped cream. It’s then layered and layered again. Oh my gosh, those lovely layers. 9.) I really wanted to take process photos showing the layers as I put this together, but a random thunderstorm made it too dark to do photos until it was all set. 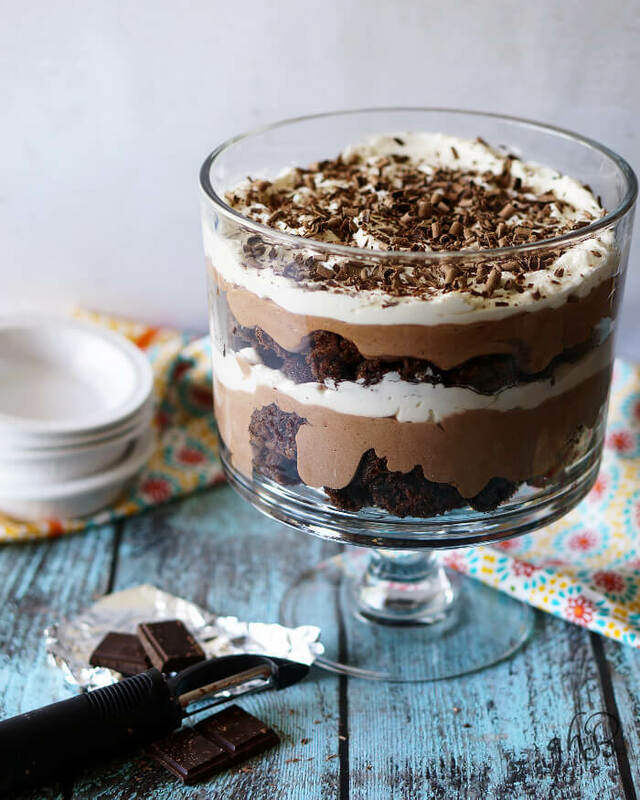 Chocolate Brownie Trifle is layered brownie, chocolate mousse, and whipped cream perfection. Cut the brownies into 1 inch cubes. In a chilled bowl, whip the cream with an electric mixer until the cream becomes bubbly on top. Gradually add the sugar and vanilla. Whip until stiff peaks form. In a medium sized mixing bowl, whisk together the coffee, pudding mix and sweetened condensed milk. Add half of the whipped cream to the mixture and whisk until it is smooth and no ribbons of white whipped cream remain. In a trifle bowl or other very deep bowl, layer half the brownie cubes, half the pudding mixture and half of the whipped cream. Repeat the layers and top with shaved chocolate for garnish. Allow to chill 6-8 hours before serving. Can I do this dessert the night before? My party is at 2:00 tomorrow. I’ve had them, at home. In case you can’t tell from my mom’s comment up there 😉 They are pretty delicious!! I bet your mom is a wonderful cook. 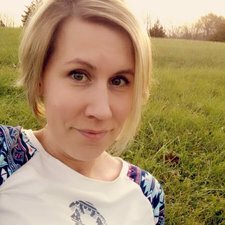 I always enjoy seeing her new food posts on her blog. I have had it at church and at home — at church I was the one who made it. Believe it or not – down here people acted like they had not heard of it! Crazy! Love the new furniture and you will love that trifle bowl — it is awesome and can be used for centerpieces as well as food! I can’t believe that they had never heard of it! It’s a good thing that they had you to expose them to the wonderful world of trifle. I bet that they loved it.